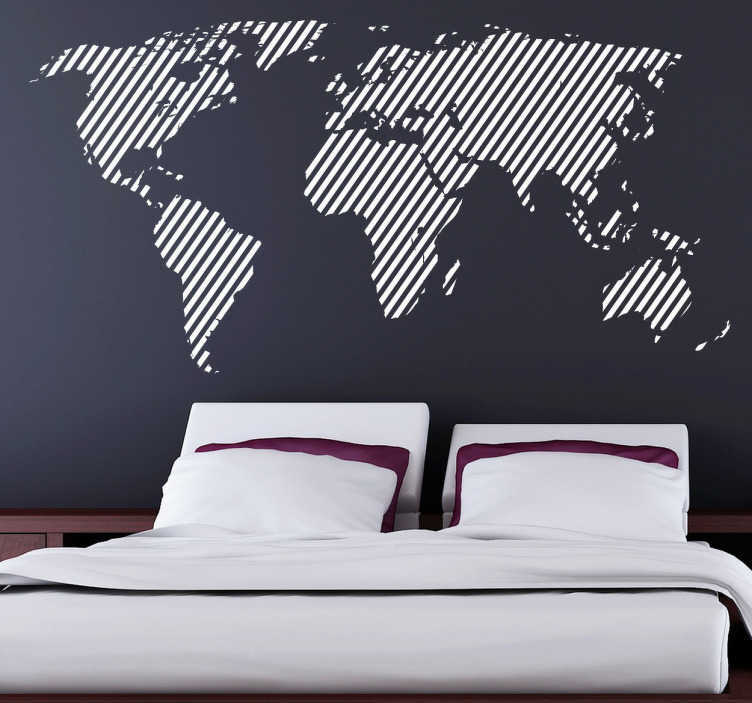 World Map Wall stickers - Unique design of world map with a diagonal line pattern. Available in up to 50 colours and various sizes. If you love to travel and are looking for a modern decal to decorate your home, then look no further!